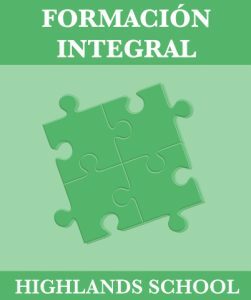 An international programme of pedagogical innovation for kindergarten and primary education that fundamentally consists of approaching the learning process from a different direction. We do not change the content but we do change the way that content is taught. In this regard, the SUNRISE Method perfectly encompasses and goes beyond the idea of skills established by the current Spanish Constitutional Law on Education (LOMCE). The LOMCE defines the ‘what’ while the SUNRISE Method explains the ‘how’. In short, the programme seeks to develop the specific potential that resides in each pupil so that they manage to fully develop themselves as people. The programme helps pupils discover what those possibilities are and to freely and personally respond to the project God has given them. By following this path, they will undoubtedly find meaning in their life and, through that, happiness. At its core, this new approach fundamentally seeks to shape persons of integrity by working in harmony with their families so they may become leaders of positive action and committed builders of a civilisation based on justice and love, according to principles of Christian Humanism. 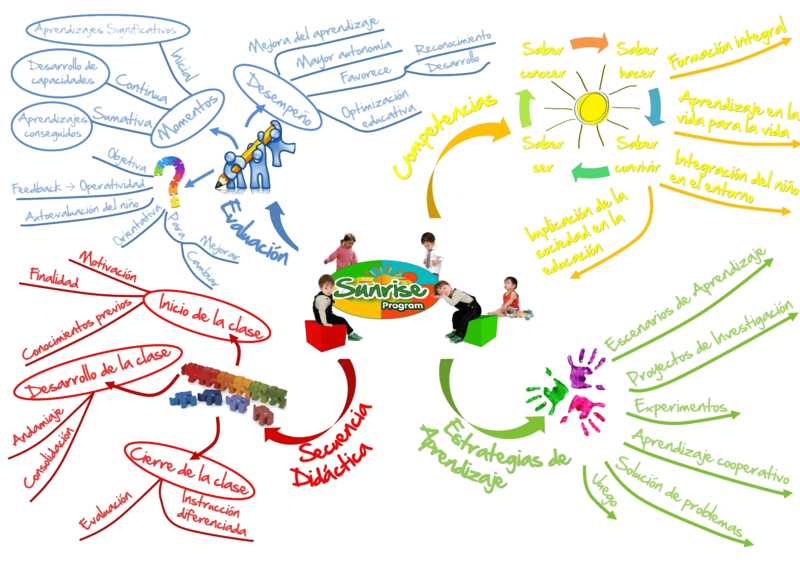 Nowadays, differentiated education is an avant-garde characteristic of the best education models. Based on an approach whereby the educational objectives and contents are the same for both boys and girls, differentiated education is an education system with a teaching style adapted to each gender to optimise their development and learning. Medical science has identified differences in the brains of boys and girls. In general, a greater part of the cerebral cortex which is responsible for memory, attention, thought, and language is dedicated to verbal functioning in girls and dedicated to spatial and mechanical functioning in boys. The cerebral cortex is just one example of how boys’ and girls’ brains differ. Even though their brains are different, however, there is no difference between what each gender can learn. At Highlands School Barcelona, we know the difference is in how they learn best. 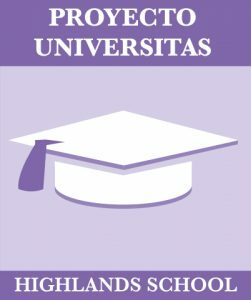 We take advantage of these differences in a gender specific learning environment, so we can teach in a way that caters to our students’ uniqueness. In that way, it helps to ensure that both boys and girls can reach their full potential. In Infant school, classrooms are co-ed, but by the time our students reach first grade of Primary (6 years old), they are in gender specific classrooms, and our gender specific learning model continues all the way through Middle School. The beauty of our co-ed campus means we can still offer plenty of opportunities for socialization across every grade within each division during lunch, recess, clubs, and the numerous all school activities that are planned. An education programme focused on skill-based schooling: not only does it provide pupils with knowledge but also gives them the skills to apply that knowledge at any time and in any aspect of their lives. 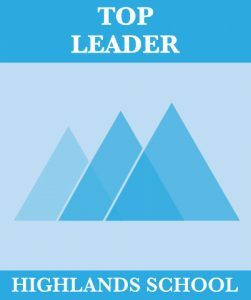 This programme is intended at awakening the leader that lies within our pupils and enabling them to lead their own lives. We achieve this through Cinema Forums, Debate Clubs,an Apologetics Course, subject-focused projects, cultural visits, synthesis work, research work, etc. This aims at providing pupils with the best professional guidance possible. Pupils undertake a week of work experience, literary workshops, attend professional guidance conferences, conferences on how to access university education, enjoy leisure alternatives, conferences on academic and professional opportunities and open days at a number of different universities. 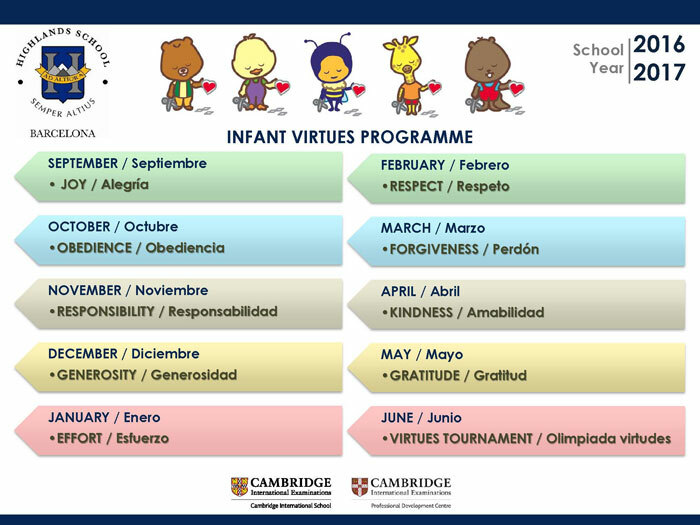 Highlands School Barcelona seeks the development of human virtues through all its educational, curricular and extra-curricular activities, and fosters habits of harmony and solidarity. New technologies are incorporated in the teaching of various subjects so that pupils and teachers become familiar with them and are able to make good use of the educational resources they provide: the use of multimedia systems as an educational resource in all areas of the syllabus and technical training for using and creating educational material in multimedia language, as well as using these systems as a resource for educational assessment purposes. 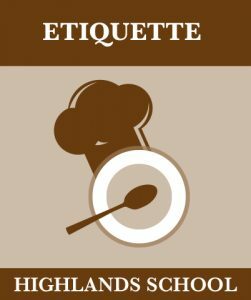 We work on civility throughout all stages of the education process to make sure our pupils are educated and polite personss. We endeavour and are committed to obtaining the best results from our pupils and guaranteeing them the best preparation as people for success in what they become and what they do so that, when tomorrow comes, they are able to successfully complete higher education. To that end, we have a well-grounded syllabus with clear educational objectives and extensive content in the areas of science, the humanities and art. 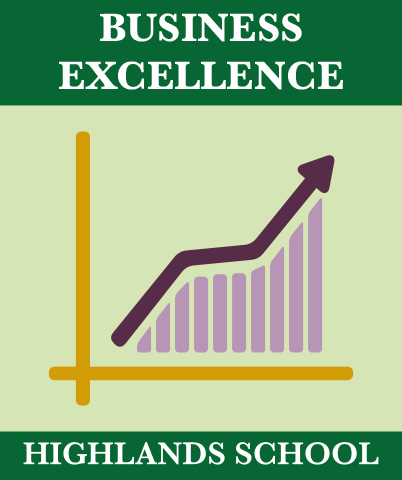 Furthermore, we offer comprehensive formation in learning skills and learning tools. We seek not only to provide pupils with knowledge but also to enable them to know how to apply that knowledge at any time and in any aspect of their lives. An education programme focused on skills-based schooling: not only does it provide pupils with knowledge but also gives them the skills to apply that knowledge at any time and in any aspect of their lives. This programme is intended to awaken the leader that lies within our pupils and enable them to lead their own lives. We achieve this through Cinema Forums, Debate Clubs, an Apologetics Course, themed projects, cultural visits, synthesis work, research work, etc. This aims to provide pupils with the best professional guidance possible. Pupils undertake a week of work experience, attend professional guidance conferences, conferences on how to access university education, enjoy leisure alternatives, conferences on academic and professional opportunities and open days at a number of different universities. We work on civility throughout all stages of the education process in order to mould educated and polite pupils. Group level psycho-pedagogical assessment in P4 Pre-School, throughout Primary education and in 3rd and 4th Grade Secondary. Individual psycho-pedagogical assessment whenever necessary. 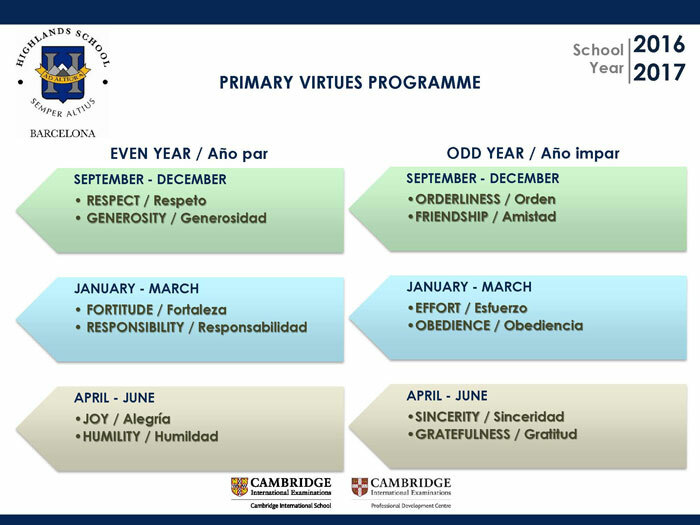 Preparation of a personalised programme to accompany each pupil throughout their schooling. Advice to parents on issues related to any educational, development, emotional or social aspect of their children. Contact and collaboration with external centres. This is a resource designed for those pupils who require certain adaptation of the syllabus, whether they demonstrate particular talent or any specific difficulties. How is this done? The objectives, content and assessment method are tailored to each pupil and established according to the actual ability of the pupil. They are temporary plans and are subject to review each term by the Faculty, the Guidance Office and the Academic Coordination Office. This programme is aimed at pupils in 3rd and 4th Grade Compulsory Secondary and is intended to guide them in their choice of profession for the future. The GOES (Secondary Education Guidance Office) prepares a report that considers the results obtained from psycho-technical tests, personality tests and professional interest tests together with a personal interview. This report forms part of a programme that, among other things, also includes existential practices, chats from sector professionals, etc. 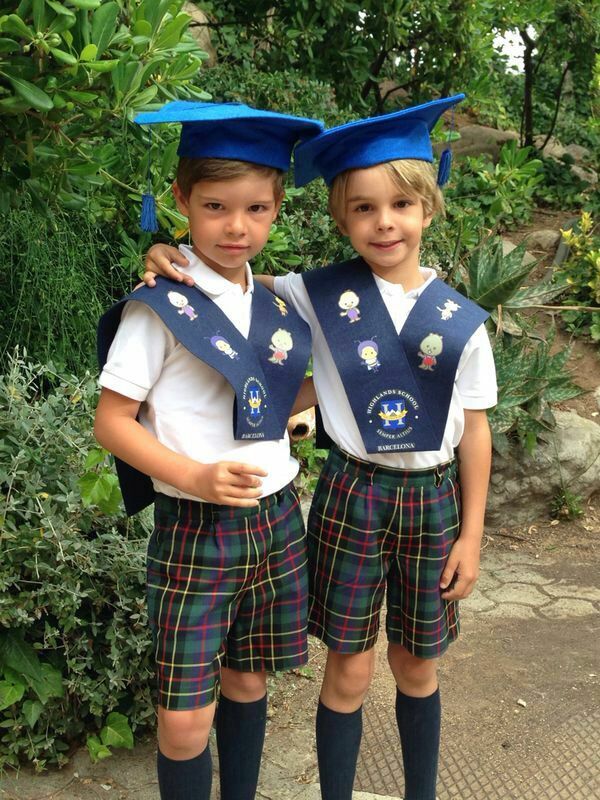 Being part of the Cambridge International Examinations system enables Highlands School Barcelona to guarantee our students an education with an international perspective. Our affiliation with Cambridge University is a source of opportunities, as Cambridge International Examinations offers more international qualifications and programmes than any other institution worldwide to students between 5 and 19 years of age. Cambridge programmes and qualifications have built up a world-renowned reputation as excellent preparation for university studies, the world of work and life in general. They offer an internationally-recognised endorsement of a student’s educational level. Cambridge qualifications open doors to the world’s best universities in the United Kingdom, the United States, Australia, Canada and New Zealand. All British universities and more than 450 American universities – including Harvard, MIT, Stanford and Yale – recognise CIE (Cambridge International Examinations) and Cambridge International A-Level qualifications. Highlands School Barcelona is the only European school that has been approved by Cambridge International Examinations as a Cambridge Professional Development Centre. 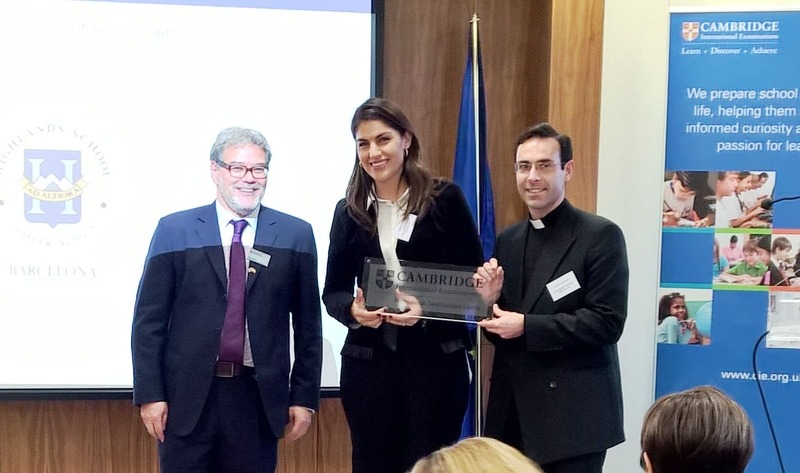 CIE awards this status for the purpose of training Cambridge system teachers and leaders, and in particular to prepare them to obtain the Cambridge International Diploma in Teaching and Learning. This recent qualification is in addition to the two Cambridge certifications that Highlands School Barcelona already had as a Cambridge International School and as a Language Assessment Preparation Centre. This recognition was made public at a ceremony held at the British Embassy in Madrid on 2 February. Michael O’Sullivan, Chief Executive of Cambridge Assessment International Education, said: “We are delighted to announce that Highlands School Barcelona has joined our growing worldwide community of Cambridge Professional Development Centres. We want this to be a long and productive relationship of great value to teachers, leaders and students throughout the region”. Father Gonzalo Monzón, director of Highlands School Barcelona, ​​stressed the importance of training within the school’s educational model: “For us, the continuous training of teachers is fundamental since it enables us to offer the best education to our students in technology, values, methodology and cutting-edge systems”. Cambridge programmes and qualifications are offered in more than 10,000 schools in more than 160 countries, and they are also recognised and valued in workplaces worldwide. Cambridge is dedicated to helping schools offer the best possible education through comprehensive support that includes the professional training of teachers, the development of classroom resources and the strengthening of membership in the worldwide learning community. This recognition confirms the school’s interest in having teachers who are well-trained and up to date in their areas of expertise. The school offers its teachers continuous training, because we are convinced that giving our best to students requires excellent teachers who are highly motivated and always up-to-date with the latest practices. 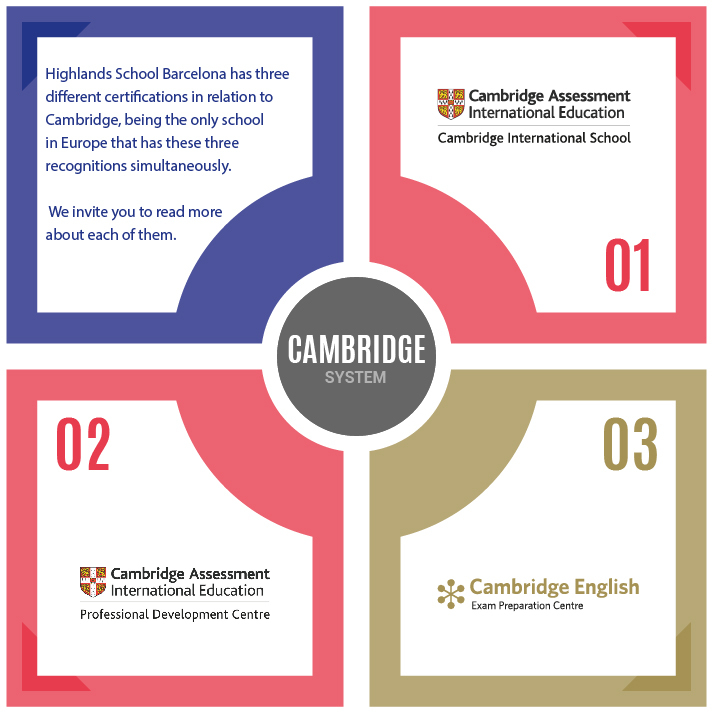 In addition to being part of the Cambridge International School network, Highlands School Barcelona is also a preparation centre for Cambridge English exams. We believe in the importance of language as a fundamental vehicle for personal development within a multicultural environment. That is why our classes are taught 60% in English and 40% in Spanish at the preschool stage, which is a child’s prime language acquisition period. To strengthen our level of English, we are an approved Cambridge Preparatory Centre that offers students the chance to obtain Cambridge English certification at the school. 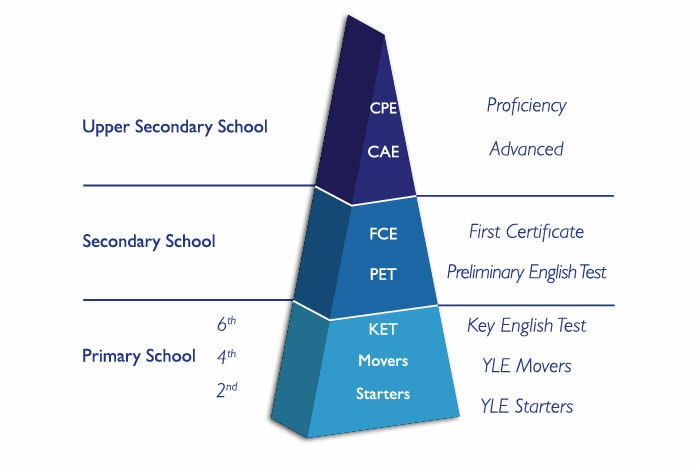 The certificates we offer include YLE Starters, YLE Movers, Key English Test (KET), Preliminary English Test (PET), First Certificate (FCE), Advanced (CAE) and Proficiency (CPE). Our students can also choose to study additional languages such as French and German. At HSB we envision the person as a whole. Our education is aimed at promoting personal maturity and the acquisition of human values ​​such as generosity, respect, sincerity, commitment, sportsmanship, etc., which are developed through activities designed to help students reach their full potential as people. Highlands School Barcelona aims to evangelise by fostering a personal experience with Jesus. Leading a sacramental life enriched with religious faith enables our students to live in friendship with Jesus and transmit that experience to others. The means to achieve this mission are predication, the sacraments, personal attention to the entire school community and apostolic tasks. We are an international ecclesial Catholic movement that endeavours to establish the Kingdom of Christ in human hearts and in society. Youth and Family Missionary. An international organisation that promotes evangelisation missions in rural and urban areas in 31 countries. It trains missionaries who support the work of parish priests, catechists and other pastoral agents. Each year during Holy Week it organises a Mega Mission in several countries. This event features the participation of some 20,000 lay missionaries, including entire families who go out to evangelise. ECyD. This is Regnum Christi’s initiative for the pastoral care of adolescents. Through an international network of clubs and activities, it seeks to support and guide them in their personal maturation and Christian formation as apostles of Jesus Christ. ECyD invites adolescents to form an alliance with Christ and with each other for the building of a new world. NET. An international network of Catholic children who want to know, love and share Jesus with others. It is also a subsidy and aid for family, school and parish catecheses. Collaborator programme: Volunteers for the young people of Regnum Christi who dedicate a stage of their lives to evangelisation and to the service of the Church and their neighbours, often through the sections and works of the Movement. Virgin Pilgrimage: an initiative that promotes Marian devotion in families, especially in regards to recitation of the Rosary, the appreciation for and defence of life, and prayer for vocations. Daydreaming: Volunteer programme for young people who want to help children in need by providing them with positive values and joyful experiences. Highlands School Barcelona wants to show the reality of society to our pupils and to have them acquire consciousness of it. 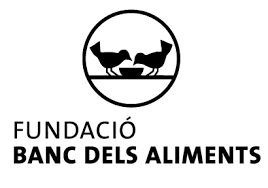 Therefore, during the academic year, our pupils do some various activities to and see that in their city, there are people who lack care and basic necessities. This is a great opportunity for our pupils to grow up and mature with an awareness of the needs of others. That will accompany them throughout their lives, as these actions stay with you your whole life. We believe that realizing these kinds of actions is highly beneficial for our pupils’ personal development. 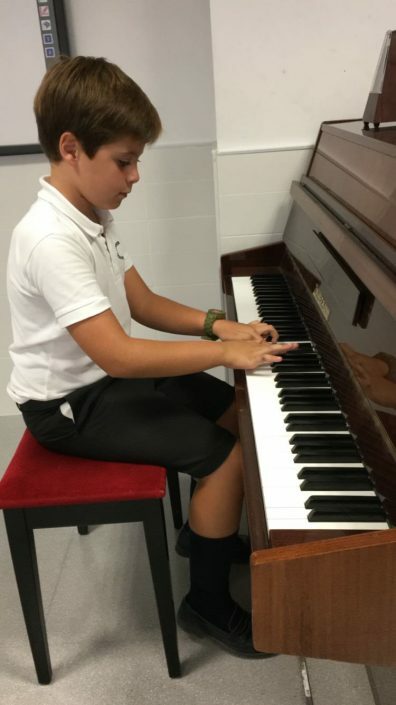 In 2016, Highlands School Barcelona became linked to the Conservatori El Liceu enabling the school to offer academic excellence in its music provision and for it to be an integral part of the school timetable. This opportunity has helped to increase the musical level of the Highlands School students. This joint partnership with the Conservatori El Liceu allows Highlands School to develop a Liceu based academic program within the school’s own timetable. This gives students an excellent opportunity to obtain official qualifications in various musical instruments and skills. All Primary school students participate in the ´Cantatas´ event; this is a musical project in which students study and work on a variety of musical pieces. 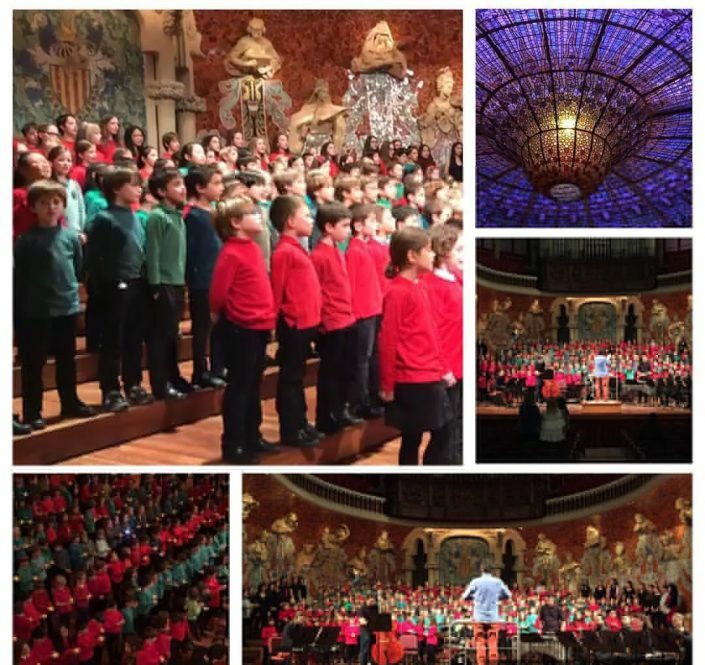 They then perform, with other Liceu linked schools and instrumental groups, at the ´Theatre Palau de la Musica Catalana´. All students prepare for this project in the curriculum time and learn the skills needed even if they are in the Liceu music program or the basic one. 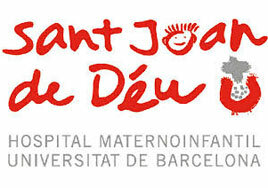 Along with the music program, Highlands School Barcelona has also created and been working with a Primary school choir. The choir has performed at various musical events and also participated in an international exchange program with students from France. The more recently established Secondary choir also aims to offer the same musical project and base in choral singing and technique. Both choirs participate in a range of musical concerts throughout the year. Option 1: HIGHLANDS SCHOOL BARCELONA’S MUSICAL PROGRAM – CONSERVATORI LICEU from 1st to 6th Primary for the students that are not studying extracurricular instrumental classes. 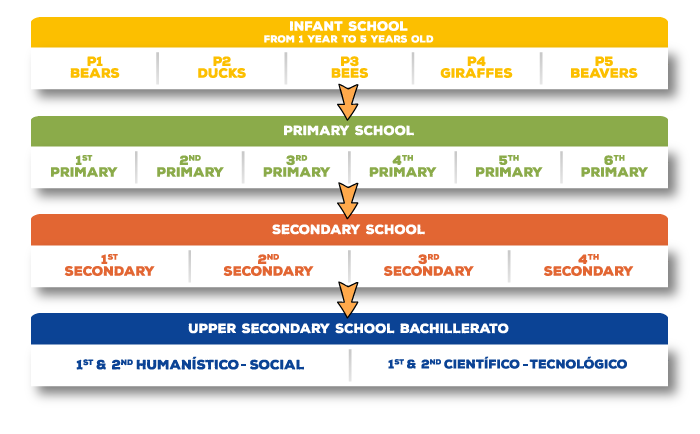 o In the subject of music, the students of 1st and 2nd Primary study the curriculum based on the Liceu Conservatori’s criteria. This is covered within the schools own music timetable. The students do not need to attend extracurricular classes to be able to access the official exams of the ‘Basic’ Liceu program. These two years of study give students the opportunity to reach a solid musical level and to move on confidently towards the option of continuing with the program and choosing to learn a musical instrument as part of an extracurricular class. 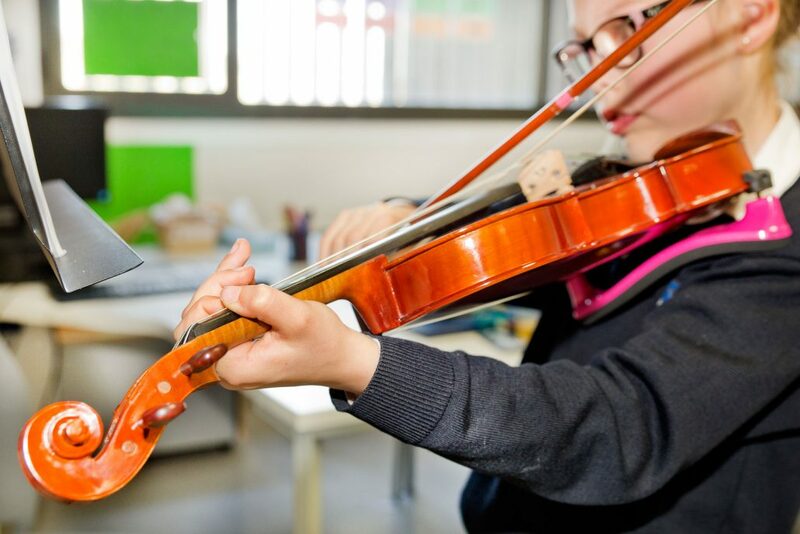 If Primary students opt to not take an extracurricular instrument class, they will continue to be taught the music program and its methodologies but without the opportunity to participate in the official exams of the Liceu (B3, B4, B5 and B6). Option 2: BASIC PROGRAM: THE HIGHLANDS SCHOOL BARCELONA MUSIC SCHOOL – CONSERVATORI LICEU from 1st to 6th Primary, for the students that are studying extracurricular instrument classes. Once a student chooses to learn an instrument, they enter the basic program and have the opportunity to sit all the official exams set by the Conservatori El Liceu. From Basic 3 (B3), students will also take extra classes on musical language; this is required by the Conservatori El Liceu in order to reach the required level. All students are taught by accredited teachers who specialise in the instrument of their choice and musical language. 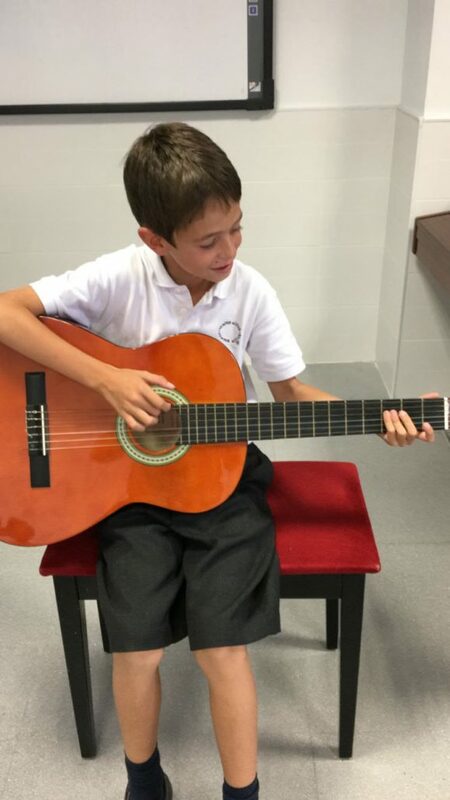 Depending on the ability of the student, there is also the possibility of participation in projects led by the Conservatori El Liceu such as the string orchestra, the guitar orchestra, combos and specific workshops. All students participating in this project are required to play at two school concerts in order to share their developing artistic skills with the educational community. The instruments that we currently offer in Highlands is piano, violin, flute and guitar. Personalised education considers each person as an individual soul. At our school, teachers work with the differences that define each pupil: their psychology, their qualities, their limitations, their previous formation, their family and social environment and their personal history. we teach study techniques while always collaborating with the family and the Psycho-pedagogy Department. School Guidance Office This office provides support for the comprehensive education of your child. The social and emotional development of a child has a direct influence on their learning. For that reason, an education centre is an excellent place for paying attention to and being able to help each one of the pupils. The entire education community (family and school) is made aware of this reality, and works and collaborates to ensure that the pupil develops in a harmonious and comprehensive manner. In other words, we ensure that pupils achieve their full potential as people. The Guidance Office is part of Highlands School’s educational community. Its main objective is to support families in ways that will contribute to the evolutionary development of students. Our personalised attention begins when students join our family and continues until they have completed their studies. The first line of detection is usually the teacher, who will call attention to any academic or emotional difficulties a student may be having. Families can request counselling for their children on any attitudinal, emotional or academic issues. With a special awareness of student diversity, when we detect that a student is having problems at school, we advise the teaching staff regarding teaching approaches that may prove more beneficial. In some cases, we “transform” the teacher’s material to help students better understand it. 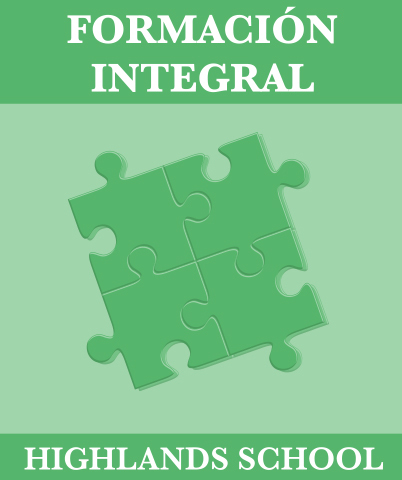 This modification, known as Internal Curricular Adaptation (Spanish acronym: ACI), is designed to facilitate needed adjustments to the teaching-learning process. Similarly, when we detect that a student needs reinforcement in a particular subject area, we provide personalised extension material. 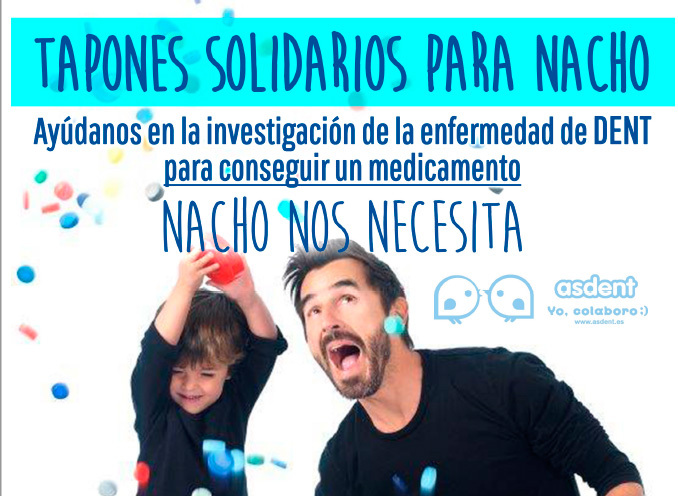 We periodically advise and coordinate the work of those who directly provide this support. 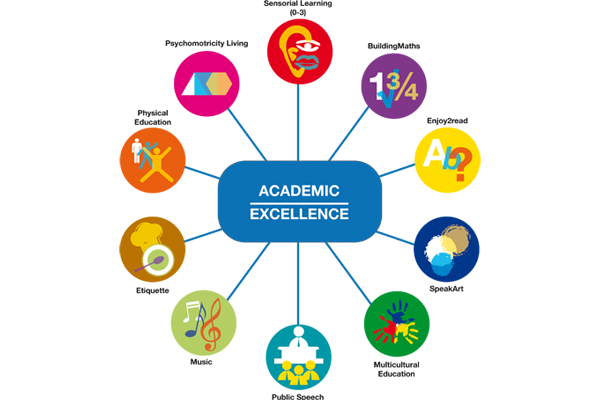 We promote the progress of each student in all aspects related to their performance and development, above and beyond what could be expected given their initial status, and strive to ensure that each student will achieve their full potential year after year. 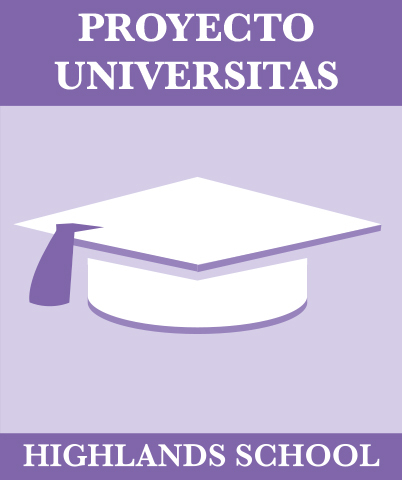 The Guidance Office has two lines of action: its Preventive Programme, and its Executive Programme. – Preventive Programme: aimed at valuing and periodically reviewing the progress and maturation of students at each scholastic stage. It also functions as an early detection programme. This programme allows us to anticipate possible learning and socialisation difficulties that students may have and to address them promptly across the entire educational community (students, families, school). It also enables us to detect gifted students and determine the level of class groups based on skills and abilities. 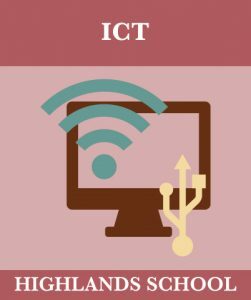 This detection is generally carried out through group-level tests, per-term classroom observations and regular meetings with teaching and coordination staff members. This methodology is also useful for collaborations with the academic area that take into account the results obtained in each classroom and school year level, with the aim of attaining academic excellence. – Executive Programme: charged with the implementation of academic expansion and curricular adaptation programmes, addressing students’ academic difficulties, providing advice and support to teachers and families, as well as monitoring and evaluating the progress of students served by the Office.